James Cameron was born in Kapuskasing, Ontario, Canada, on August 16, 1954. He moved to the USA in 1971. The son of an engineer, he majored in physics at California State University but, after graduating, drove a truck to support his screen-writing ambition. 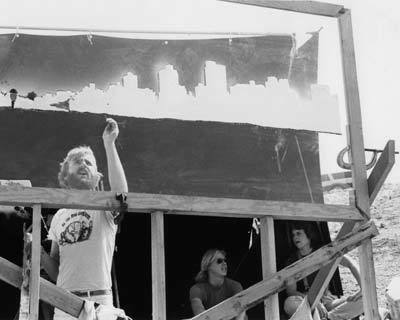 He landed his first professional film job as art director, miniature-set builder, and process-projection supervisor for Roger Corman Company working under FX supervision of Robert and Bob Skotak, and debuted as a director with Piranha Part Two: The Spawning (1981) the following year. 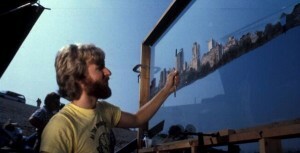 James Cameron working on a matte painting for Escape from New York.